Thank Your Lucky Stars was a British television pop music show made by ABC Television, and broadcast on ITV from 1961 to 1966. Many of the top bands performed on it, and for millions of British teenagers it was essential viewing. As well as featuring British artists, it often included American guest stars. The Beatles appeared on Thank Your Lucky Stars eight times between January 1963 and March 1965. 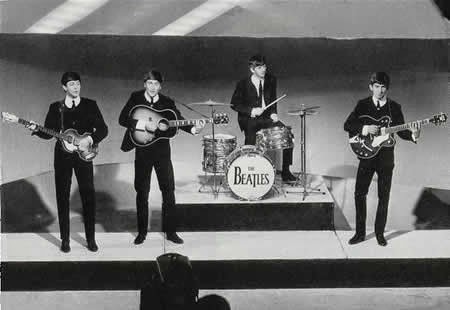 Below: The Beatles topped the bill on their fifth appearance on ABC Television's Thank Your Lucky Stars, recorded at the Alpha Television Studios in Birmingham, England. The show was recorded on the afternoon of Sunday 20 October 1963, and was broadcast the following Saturday from 5.50-6.35pm. The Beatles mimed to three songs: All My Loving, Money (That's What I Want) and She Loves You. 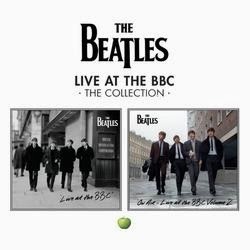 Two of the EMI recordings had not been heard before; the show's producer Philip Jones had been given advance acetate discs of them, and successfully persuaded Brian Epstein to have them premièred on Thank Your Lucky Stars before the release of With The Beatles. 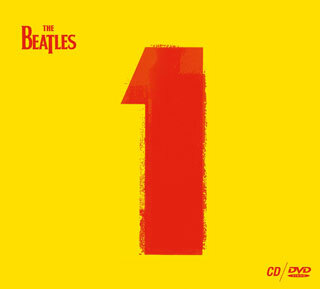 While The Beatles were inside the studios, 3,000 fans blocked the streets outside and attempted to storm the building. Saturday 14 November 1964: The Beatles rehearsed and recorded their seventh contribution to the television show Thank Your Lucky Stars at Teddington Studios on this day. It was screened on ITV the following Saturday, 21 November 1964, from 5.50pm. 12 May 1963 From Me To You and I Saw Her Standing There. 20 October 1963 All My Loving, Money (That's What I Want) and She Loves You. 15 December 1963 I Want To Hold Your Hand, All My Loving, Twist And Shout and She Loves You. 14 November 1964 I Feel Fine, She's A Woman, I'm A Loser and Rock And Roll Music. 28 March 1965 Eight Days A Week, Yes It Is and Ticket To Ride.